The 2014 Grayson Highlands Stewardship & Bouldering Weekend couldn’t have been more productive. With perfect weather (sunny with highs in the mid 70s) and a motivated gathering of volunteers, we got to work early on the 24th. Starting out at 9:30 on Saturday at the LRT Trailhead our goal for the day was to rock armor some of the most popular boulder along the LRT. With tools for the job in hand everyone quickly got to work and rock armored the landings for 5 separate boulders which needed preventative protection for possible future erosion. Of those five boulders, the preventative armoring protected the landings of over 32 individual boulder problems, helping sustain the landings well into the future by preventing soil erosion and impact from frequent climber activity. 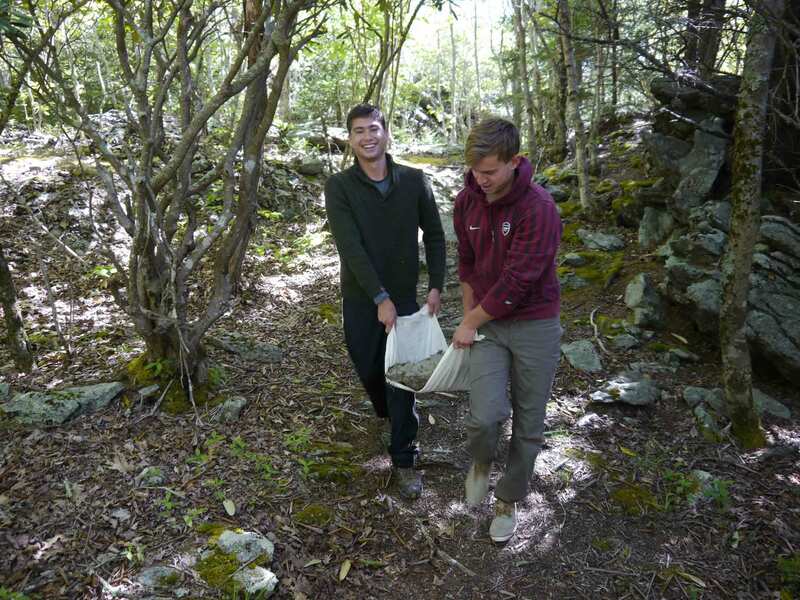 Also on Saturday, volunteers trimmed back overgrown briars along the Listening Rock Trail, moved fallen branches from trails and landings, and picked up what little trash we could locate. On Sunday the 25th the focus was spraying off old chalk and left over tick marks. 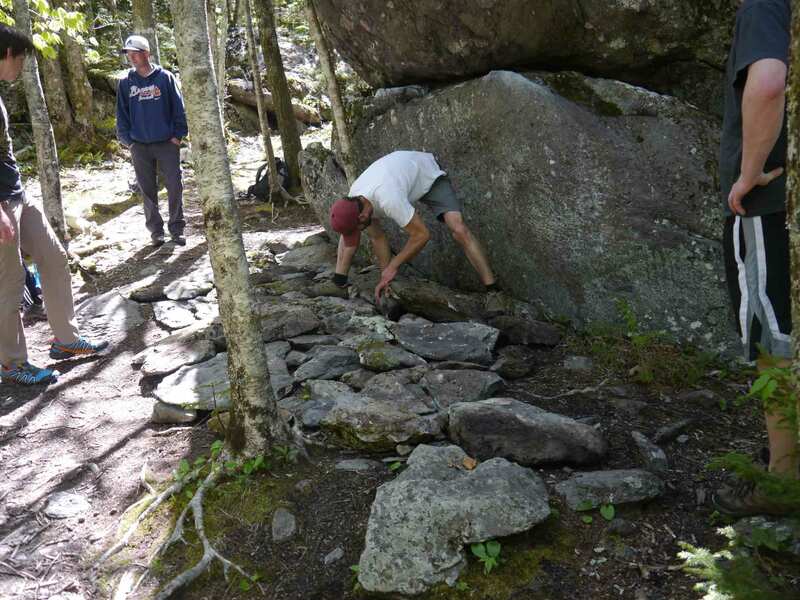 Over 10 boulders were sprayed with water guns, scrubbed, and chalk marks were removed from under the steepest sections of the boulders where rain and weather could otherwise not reach. With the amazing effort from volunteers and the support from the Access Fund, AmeriCorps, Hippy Tree Surf & Stone, Mad Rock, and GHSP the event was a huge success. The afternoon raffle was able to raise funds to go toward the Southwest Virginia Climbers Coalition and the Friends Of GHSP Group. 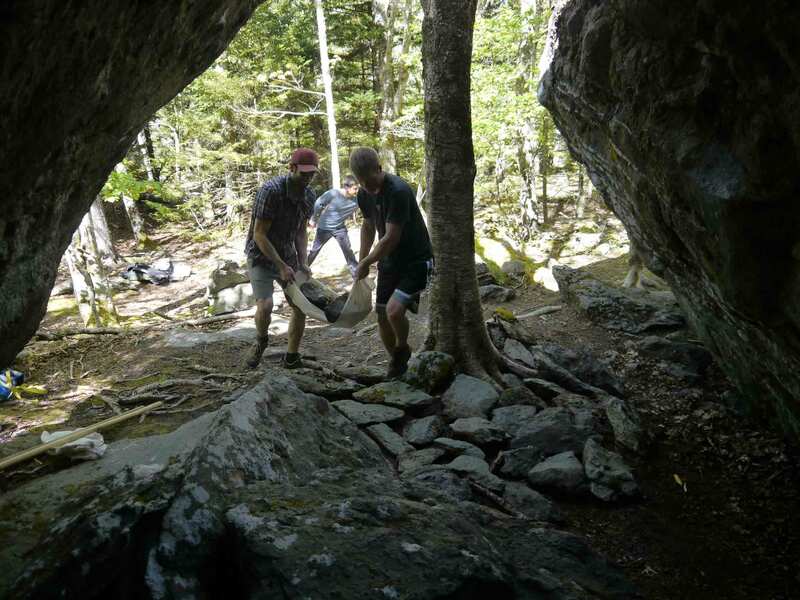 Thanks so much to all of the hardworking volunteers who made the event possible and dedicated their memorial weekend to helping support stewardship efforts in Grayson Highlands State Park and continued access to Virginia’s primer bouldering destination. A huge thank you to all of the agencies and organizations that supported the event, and to all of the event sponsors who sent some sweet volunteer and climber swag in support of the event! Hey everyone! We will be mailing out the first round of the AVP Boulders Map mid week. If you haven't had a chance to order one, now is a great time. Make a $50 donation to the CACC toward purchasing and protecting these amazing #GHSP boulders and you will get one of these hand drawn maps and a CACC sticker sent to you this week. Thanks so much to all of you who have supported this effort so far! Let's keep it up! I couldn’t be more excited to be writing this. Let’s bring back the AVP Boulders! Please help secure climber access and conservation to the AVP Boulderfield at Grayson Highlands. It has been well over a year since we broke the news that the AVP Boulders were closed to climbing. Ever since, through the hard work and dedicated efforts of the Central Appalachia Climbers Coalition and the Access Fund, we have worked with the landowners to negotiate a formal agreement for climbers to purchase the boulders. The survey, appraisal, and purchase agreement is complete! Now, with the community’s help, CACC is ready to acquire and permanently protect these fantastic boulders. CACC now has three months to raise the necessary funds to complete the purchase. If you enjoy climbing at the AVP Boulders, Grayson Highlands in general, or would like to support the conservation and access preservation of some of the best boulders in Virginia, please donate today! It's actions and opportunities like these that define our community and allow for secure, protected climbing areas well into the future. 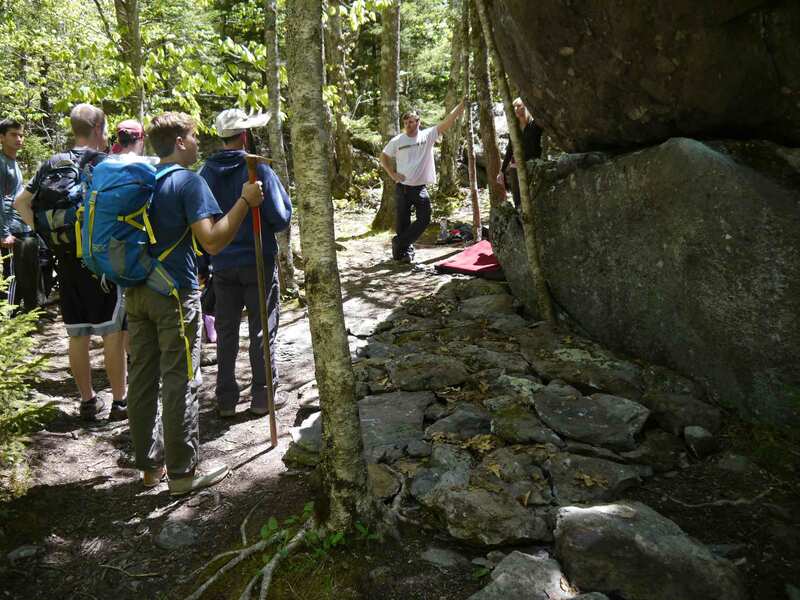 The end goal for this property is that GHSP will be able to acquire the land, becoming an official part of Grayson Highlands State Park where bouldering is encouraged and loved. Please follow the link to @climb_central_appalachia and donate today. Share the post and let's make it happen!